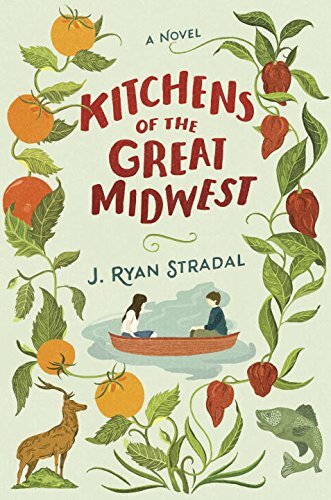 As I sit here in front of my computer and try to come up with the words to explain why I enjoyed reading J. Ryan Stradal’s Kitchens of the Great Midwest so much and why I have so much affection for it, I have a goofy grin on my face. The kind of secret smile you get when you think of that person you have a crush on and that funny/sweet/kind thing they said about you. Confession MNReaders: I have a big, goobery crush on Kitchens of the Great Midwest and I’m about to tell you about it. First of all, you should know, I was a little hesitant going into this one. 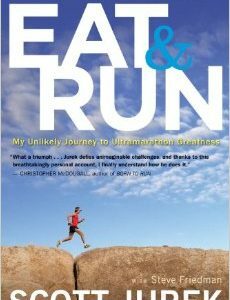 I used to do a podcast with J. Ryan and a bunch of his friends way back in the olden days. It’s always a little scary reading a book by someone you know because your desire to be honest does battle with your desire not to diss your friend’s book. This novel, told through interconnected stories that orbit around chef Eva Thorvald, is a good’un so my hesitation was for naught. We see Eva through the eyes of her father, a chef from Duluth who grew up making lutefisk; her jock cousin; a boy who likes her; and many more. Only once do we see Eva’s life through her eyes, when she’s a taller-than-everyone, bullied sixth grader who is growing hot-hot-hot peppers in her closet in Iowa. In fact, the peppers are so hot that the best Mexican restaurant in Des Moines has to put warning labels on the dishes that include the chili pepper oil Eva makes. I’m not entirely sure what I loved the most about this book: the exquisite food writing and satire, the recipes, or the very Minnesotainess of it — from the Lutheran county fair entrants and bitchy-entitled Uptown moms to the deer hunting, hard drinking bros and the sensitive, young garageband dudes — reading this book felt like reading about people I know written by someone who cares as much about them and their quirks as I do. While the satire about foodies is cutting and hilarious, J. Ryan Stradal never looks down on his midwestern characters — not even the Country Fair Ladies (this chapter might have been my favorite, because bars. . . who doesn’t love bars?). While he might poke fun at them, he never treats the midwesterners like yokels from the fly-overs, and that’s refreshing. Kitchens of the Great Midwest is one of those books that hit me in all my wheelhouses from the awkward 6’2″ main character to the one who hums The Replacements when she’s happy to all the luscious and delicate food writing. 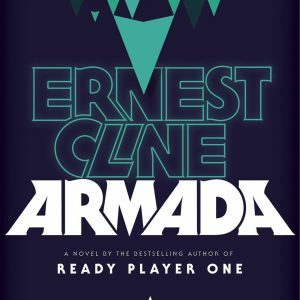 I’m calling it now, in September, this one will be on my year-end favorites list for sure, doncha know.